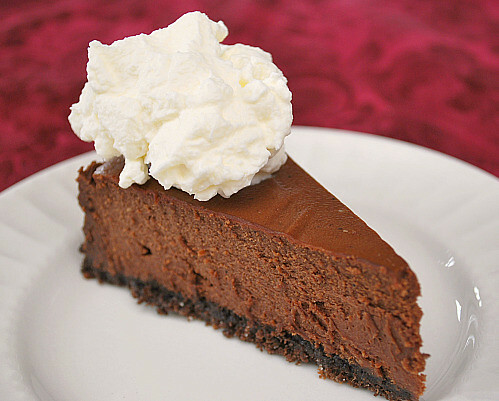 I was inspired to make his Double Chocolate Cheesecake again for the holidays and if you're looking for a decadent and chocolate dessert, look no further. This Double Chocolate Cheesecake is heavenly and I have no shame admitting that I had a small slice with breakfast this morning! Rich, creamy, smooth chocolate cheesecake is nestled into a delicious chocolate cookie crumb crust... it's so simple, it's practically foolproof. The key to this recipe is the use of both unsweetened and semi-sweetened chocolate in the filling. 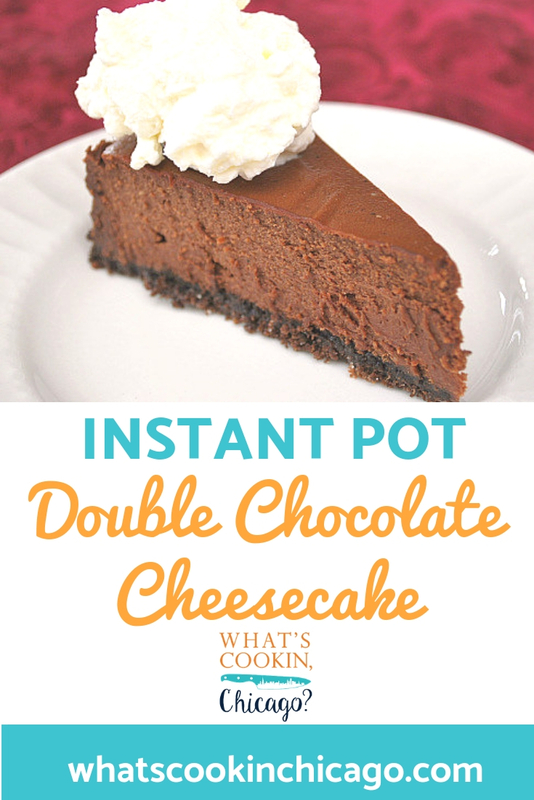 Together, it creates a not too sweet cheesecake filling that's just perfect. Top with a dollop of fresh whipped cream and add some fresh berries if you'd like too. When the IP beeps after pressure cooking for 35 or 37 minutes (depending on the size of your springform pan), allow your IP to naturally release pressure for 15 minutes if using a 6" springform pan or 17 minutes if using a 7" springform pan. While naturally releasing pressure, the display will reflect numbers counting up from 1. The numbers indicate how many minutes the IP has stopped cooking since it beeped (or how many minutes it has been naturally releasing pressure). No need to touch your IP for this and allow for several minutes to do so. When the display reflects 15 or 17 minutes since the IP has beeped, turn the setting on top of your IP to venting. Doing so allows the IP to quickly release pressure. I use a wooden spoon to carefully turn the setting to avoid close contact with the potential steam. You may also want to turn your IP away from cabinets to allow the released steam to escape freely. The pin at the top of your IP will drop when all pressure has been released and it's safe to open. Open up your IP and carefully remove the trivet with cheesecake using the foil sling. Refrigerate the cheesecake for one day or overnight before serving. Garnish with fresh whipped cream if desired.